Discover our fantastic selection of Cheesecake Recipes and Baking Ideas all written by our professional chefs at L'atelier des Chefs, based in London. an indulgent and easychocolate dessert, perfect for a date night! A double chocolate cookie flavoured with Chinese five spice, sandwiching a vanilla cheesecake filling. A quick and easy recipe for a vanilla cheesecake topped with a rich salted butter caramel. A simple no-bake cheesecake flavoured with mint syrup and dark chocolate and topped with fresh raspberries to serve. Chocolate and passion fruit are made for each other: the fruitiness of one complements the other, and when combined into a cheesecake, one gets a truly decadent dessert! 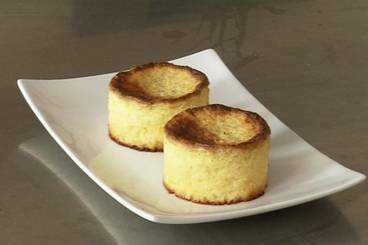 A classic Corsican cheesecake made with sheep's milk cheese and scented with lime and vanilla. An easy non baked cheesecake made with white chocolate and raspberry's. An easy non baked cheesecake made with white chocolate and raspberry's. Set on crunchy ginger base.